The Horse Might Not Agree ← You Want Me To Wear What? I’ve commented before on ModCloth’s naming choices. 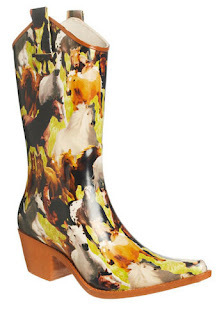 These are the “Great Gelding Galoshes.” And while I can’t check the horses to say for sure that the name is, in fact, accurate – well, it’s close enough. And it is alliterative. So, from now on, I’m totally going to start exclaiming “Great Geldings!” in daily conversation. I suggest you join me. It’s going to be the new thing. It may not be hilarious at first, but imagine it in the voice of Christopher Lloyd. I'm totally going to say that in everyday conversation now. It will catch on, just like sketch and legit did. Rather than plastics, Samsung wisely chose glass and metal for the chassis on the newest flagship. With that said, plastic is actually a great material, and certainly more durable than glass.